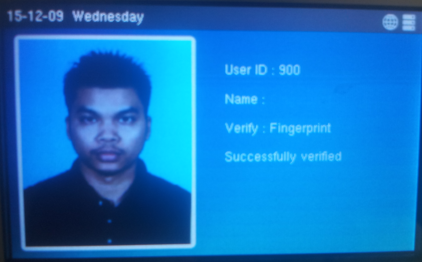 UPLOAD USER PHOTOS INTO FINGERTEC DEVICES USING THIS SIMPLE TOOL! The latest version of TA100C and AC100C devices are equipped with the new Core Board version known as FMM 100, replacing the FEM510. The new coreboard is loaded with 800MHz microprocessor, 128MB RAM and 256MB flash memory. With the new coreboard, you can experience the newly designed menu icons and faster data processing. 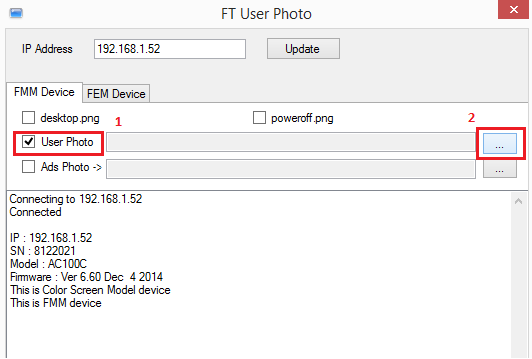 However, due to the fact that FEM510 and FMM100 models are running on different platforms, uploading user photos into FMM100 model devices cannot be done directly from our bundled software. 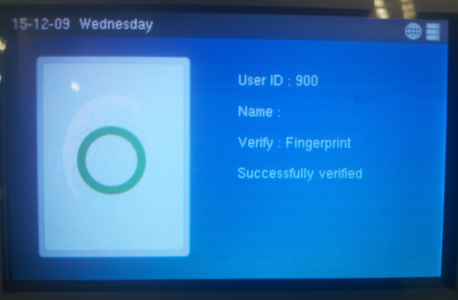 Having a photo identification during fingerprint verification will further validate that the machine is capturing the correct user. 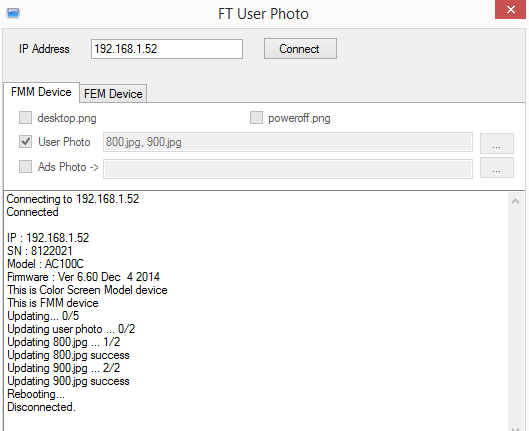 This tool will allow administrators to upload multiple user photos at the same time, without requiring any use of software. 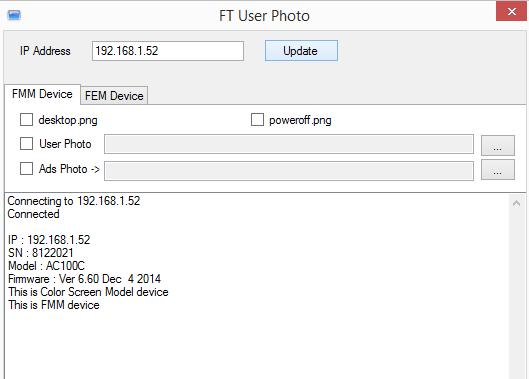 Download the “FT User Photo” tool from this link here. Prepare the user photo appropriately according to the specs. 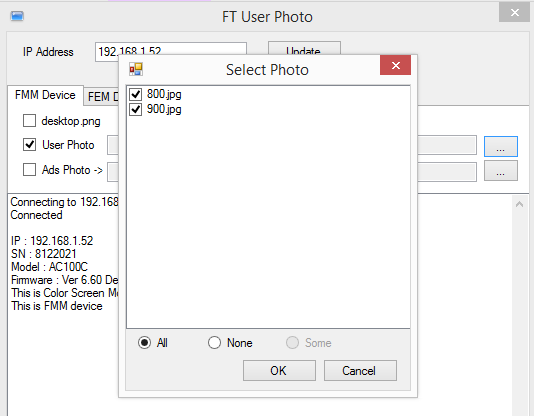 - Then click the button (box 2) and Select user photos. 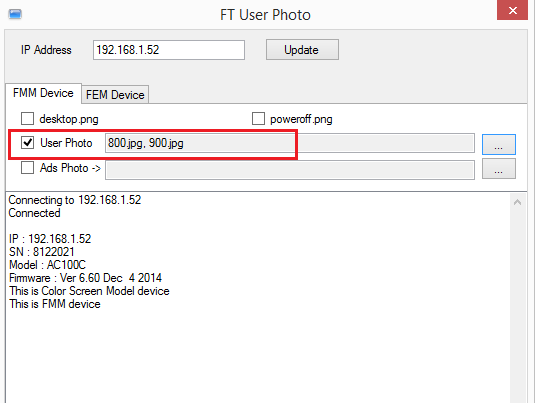 After successfully updating those photos, you will be able to see the photo during verification process. Refer the picture below. the application not run in my system.. i had followed the steps. Please provide us the team viewer id and password so that I can check this issue in detail.